Nissan wins Daytona 24 Hours with all-Japanese driver line-up. 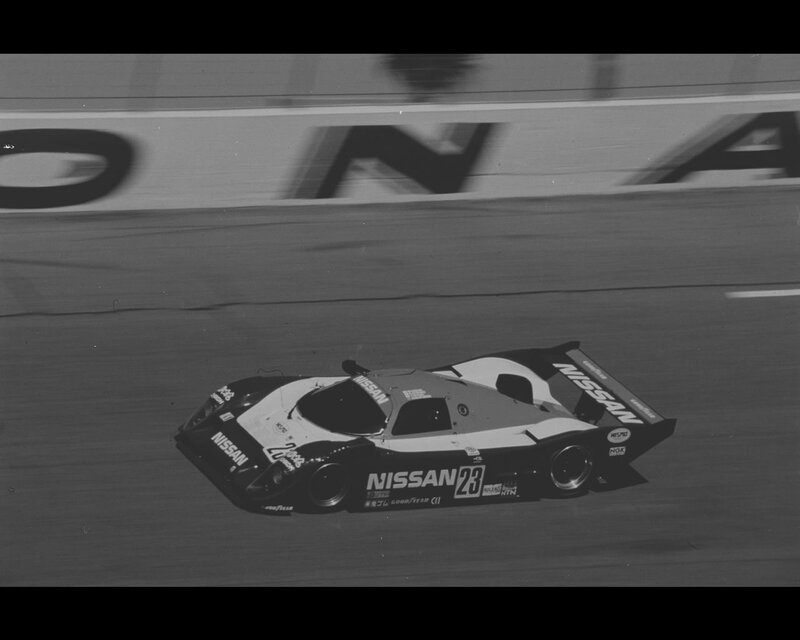 Abandoning the challenge of the 1991 Le Mans 24 Hours due to conflicting technical regulations, Nissan was preparing to enter America’s biggest endurance race, the 24 Hours of Daytona. 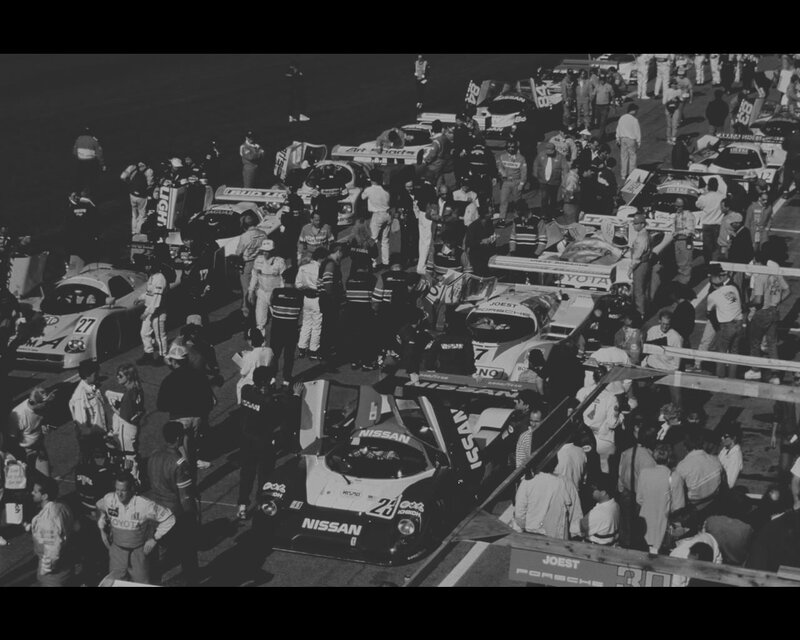 However due to the outbreak of the Gulf War in the latter half of 1990, they had to give up and instead decided to aim for the 1992 race. 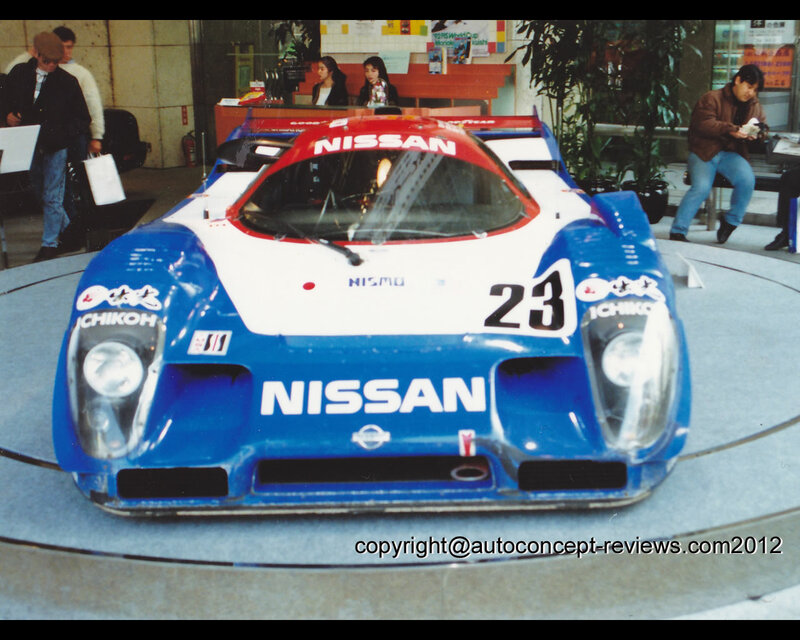 The machine was based on the 100% Nissan built R91CP that won the 1991 JSPC (All Japan Sports Prototype Championship) as a Group C car, altered to Daytona specifications. Up until 1990 Nissan had been using British racing car manufacturer’s chassis such as March or Lola as a base and then equipping them with their own engines. 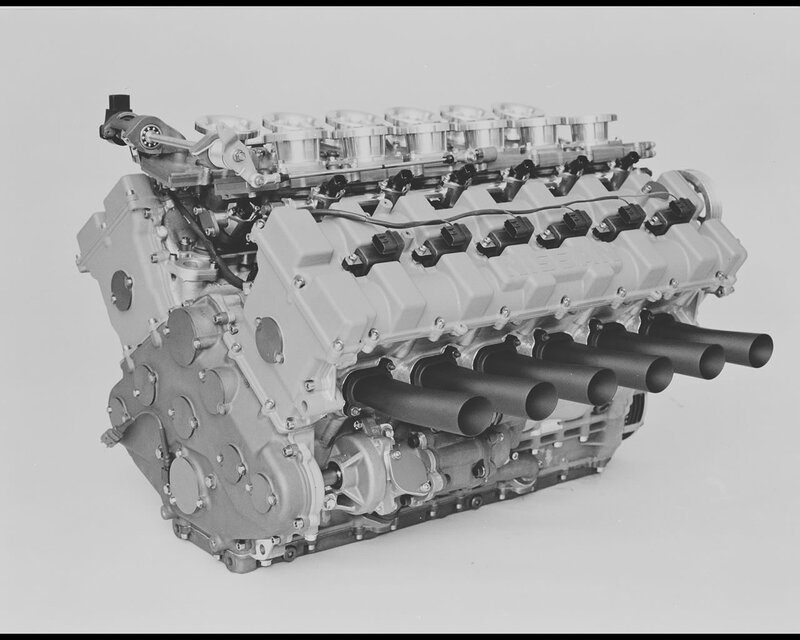 However the R91CP was a machine built entirely by Nissan with the balance to handle a high efficiency engine, and to maximize not only speed but reliability and endurance. The monocoque of the R91CP is a full-carbon composite unit, the body shape is designed according to Nissan’s own aerodynamic analysis, and the engine is the VRH35Z previously used in the R90CP. Furthermore, the fender mirror on the right-hand driver’s side is affixed to the door, giving the car a characteristic asymmetry. In the race, the Japanese group of Masahiro Hasemi, Kazuyoshi Hoshino, and Toshio Suzuki began from 3rd position. Hasemi was the first driver, and reached first place on opening lap. Porsche, who had been running in second place, retired on the morning of the second day. 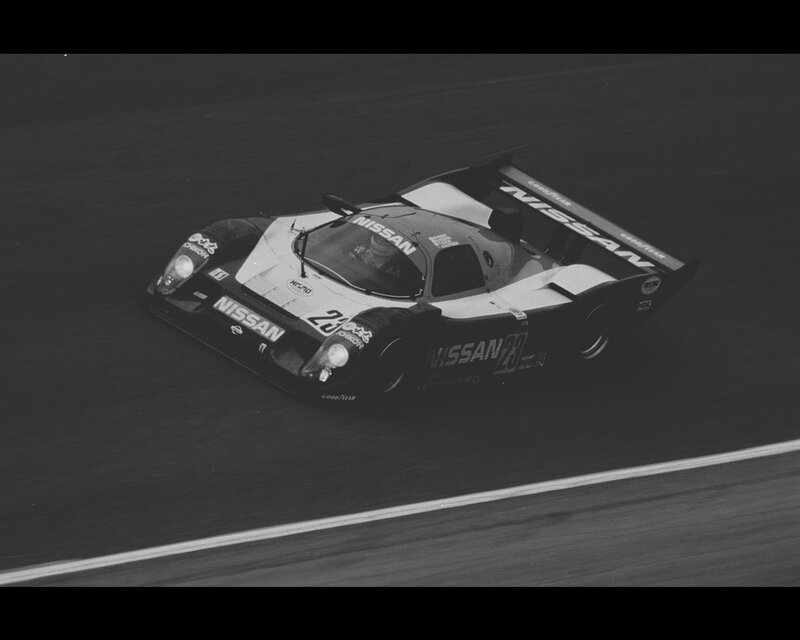 As a result, the Nissan R91CP opened up a 9-lap lead on the Jaguar XJR12, and achieved victory with a new race record of 762 laps completed (besting the Jaguar’s 761 laps in 1990). It was a brilliant achievement; the first victory by a Japanese machine, Japanese team and Japanese drivers at Daytona 24 Hours.